The sun is shining. Birds are singing. Spring is here. In fact, it’s more than here, it’s almost over! And I’m willing to bet you haven’t even started your spring cleaning yet. Want to scrub your floor this weekend? Or clean out that box under your bed? Or, better yet, skip all of that grossness and do some spring cleaning on something that can actually boost your career—your resume. I heard that “ugh.” I know, revamping your resume competes with housework as something you never want to do. But, if you’re dreaming of an exciting and rewarding job in tech, your resume has to be as current as your skills. And there’s no better time to get it done than now, when you (and the weather) are in a good mood and ready to make some changes. 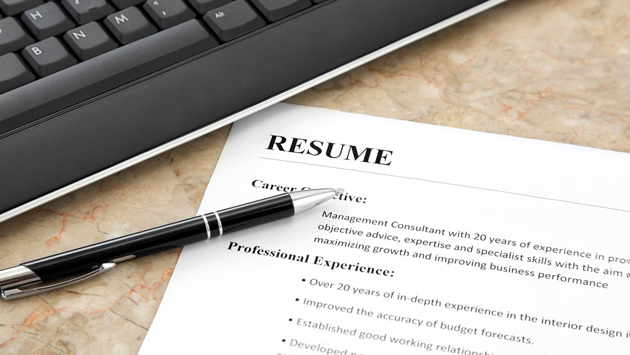 Here are five tips you can use to get your resume ready to impress tech companies. Because, like the summer heat, job opportunities can sneak up on you quickly. And you want to be ready if the occasion arises. It’s 2015. While some skills on your resume make you sound special and unique, others make you sound like you’re stuck in the ’90s. Which, as you can guess, isn’t exactly ideal for a cutting-edge tech job. So, just like you wouldn’t dare list reading or math as a skill, you also shouldn’t include email, internet, or Microsoft Word or Excel. Those are givens for all job seekers now. Such a given that you don’t even need to point them out. Bonus Tip: That said, definitely include any technical skills that you have, like UX/UI, HTML and CSS, SEO, or WordPress. Even though those are pretty common among tech candidates, they’re not a given, and listing them will help you stand out among applicants who can’t list them. In today’s world, it’s also a given that you have some kind of online presence. Instead of forcing a company to do a Google search on you, include links to your social media accounts in your resume. You shouldn’t include every service you’re on, just the ones that best reflect your professional persona. And, if you’re applying for jobs in fields like design or development, be sure to include a link to your personal website or online portfolio. Just make sure it’s up-to-date with your latest projects or samples of your work. Bonus Tip: Just because you’re new to the industry doesn’t mean you shouldn’t have work to show. Include “mock” projects, exercises you’ve done in classes, or a link to your personal website. All of these show your talents, drive, and enthusiasm, which is exactly what you need to stand out. One key to getting a job is showing your passion for your chosen field. And your love for tech really shines through when employers see that you enjoy making it part of your everyday life, not just using it to earn a paycheck. So, include your experience volunteering for a summer coding camp for girls or creating HTML newsletters for your neighborhood cooking club. Link to the website you built for your son’s daycare center. These are all perfect proof of your genuine interest in tech—plus, a great way to show off some of your knowledge and talents, too. Bonus Tip: Don’t have any relevant hobbies yet? Try a getting involved in a tech meetup. These groups are a fun and easy way to get immersed in the community, learn all kinds of skills, and make contacts that can help you in your job search (or, if you’re lucky, hire you!). Tech is an industry with almost limitless possibilities. So, don’t limit the education section on your resume to only your college degrees or classes you’ve already finished. Online courses are a more-than-accepted norm nowadays, and your participation in them can actually show your determination and motivation to get the skills you need for your career. Even if you’re still in the process of learning a certain skill or programming language, you can emphasize what you’re studying so companies will know what you’ll soon have to offer. Bonus Tip: Use your cover letter as an opportunity to discuss one of your current classes in depth. Dive into what you’re learning there and why you’re so incredibly excited about it. You can’t fight the fact that companies use automated online application systems. Adapt your resume to fit the system so that you beat the robots and up your chances of getting your resume in front of a human being. One of the best ways to do this is to use specific keywords that are relevant to the positions you’re applying for. So, instead of writing “coding,” specify that you know HTML and CSS. Or, instead of mentioning “graphic design tools,” be clear as to whether that’s Photoshop, Illustrator, or Flash. Bonus Tip: With your tech savvy, it can be tempting to design your resume to within an inch of its life. It’s great to show some of your style and skills, but keep it reined in so that your resume is still machine-readable—and so that it doesn’t make the HR department’s “Tried Too Hard” list. Now that you know these simple, yet significant, changes to make your resume right for tech, what are you waiting for? Make them now and you can rest assured that you’ll be ready if the right person calls. Kelli Orrela runs customer support and creates content for Skillcrush, a digital skills training and education platform with friendly instructors, an active student community, and laser focus on helping you achieve your career goals with technology. She has an MBA and successfully ran an international company and her own freelancing business before pursuing her passion for tech by taking advanced web development classes. Kelli loves listening to tech podcasts at 2x speed, looking for cute Corgi photos online and teaching and performing country line dancing—as a true Texan living in Finland would do. Say hi on Twitter.